Whatever the size of your business, it’s never too early to start building your retirement income, ensuring a healthy financial future. We help you make the most of the opportunities at every stage of your life with our go-to guide. It’s not just how hard you work and how much you earn, but how you reinvest your money that determines your financial security in retirement. Informed investing in superannuation and external assets as you chart your business – and life – journey is essential. Examine which superannuation avenues can boost your savings in every life phase. Most of us would consider our business as our most important asset. However, the cornerstones of a sound business plan are generous tax breaks and potential wealth growth from super contributions for long-term saving. As you age, your financial focus could well change. We outline a broad age-group approach to how to save for retirement. Get into good savings habits early. If you're an entrepreneur, it's important to look beyond the day to day pressures of running your first business, ensuring you draw up a plan to build wealth over the long term. Take out insurance to be eligible for cheaper premiums. This is the life phase where many people have a family and a home, and may be building up a business. Consider taking out business insurance, along with life insurance, critical illness protection and income protection. And ensure a complete estate plan is in place. Currency of wills and powers of attorney is vital. As cash flow picks up, consolidate debt and diversify by investing in assets such as property or shares. Consider the tax structures in which these are held. Simultaneously, start making extra contributions to superannuation. This can make you eligible for tax deductions if you’re self-employed. A good super investment strategy could be to transfer all your superannuation savings into one fund to save on fees. And, if you’re an employee of the business, you might also consider salary sacrifice. Many people have increasing equity in property at this point. Investigate using the equity for investing with tax breaks. As a business owner, you may want to consider setting up a self-managed super fund. That way you might be able to purchase your own business property through your SMSF instead of continuing to rent (although strict conditions apply). In any case, keep contributing to super for further tax concessions. As business assets grow in value, consider further asset diversification. It may be appropriate to access super while you’re still working. Investigate the optimal tax structure in the transition to retirement – what assets should be outside super, what should be held in super and what pensions are appropriate. Many people don’t consider how they’ll sell their business until the last minute; reduce that potential stress by preparing in advance and having a succession plan. In the interim, make sure business insurance is maintained and move your shares into your super fund for tax efficiency. As you start planning to retire and perhaps passing on some wealth to your children, seek advice about how to sell your business, taking into account capital gains tax exemptions to lower your tax bill. Try to boost your super contributions. You’ll get to a point where you can’t contribute any more to your superannuation fund so make the most of the tax breaks while you’re eligible. If you have assets outside of super, think about ways to incorporate them into your super. Also consider post-tax contributions for lifelong tax benefits. 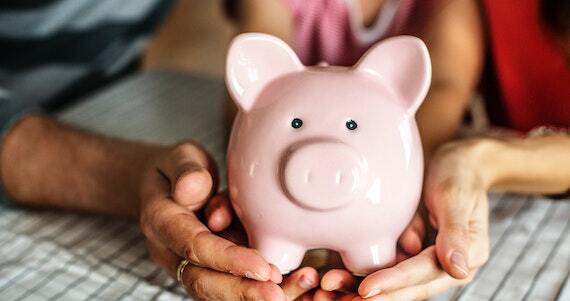 Once you’re relying on your savings for retirement income, ensure regular advice covers the asset allocation and income levels to maximise benefits. Please contact us on 07 3844 3899 if you would like to discuss this topic further .